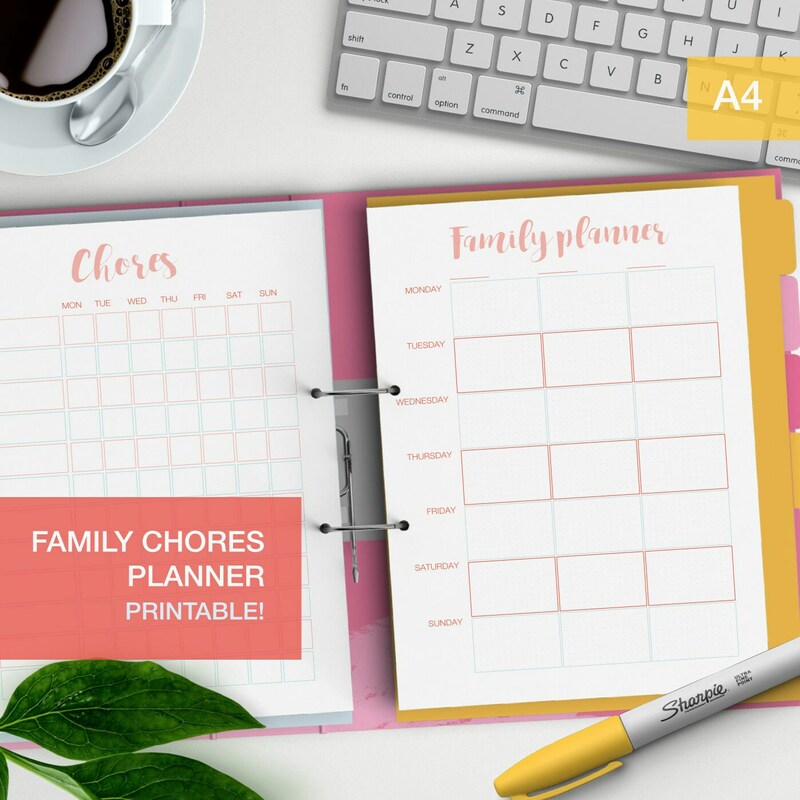 A Family chores planner pages for your home organization. 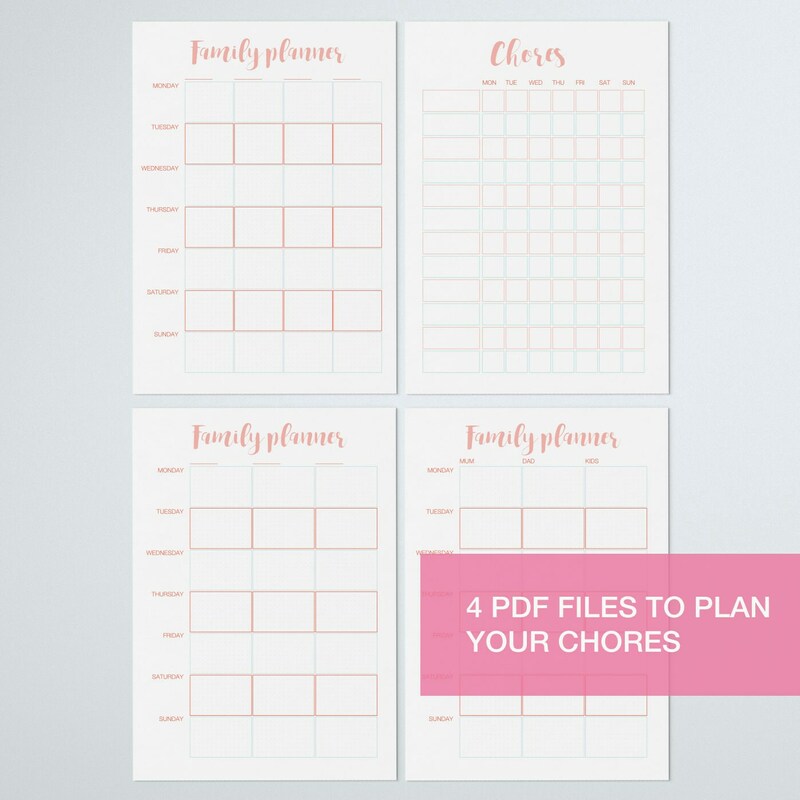 You'll get chores and meal planner templates to help you organize your home life! THIS PURCHASE IS FOR A INSTANT DIGITAL DOWNLOAD.